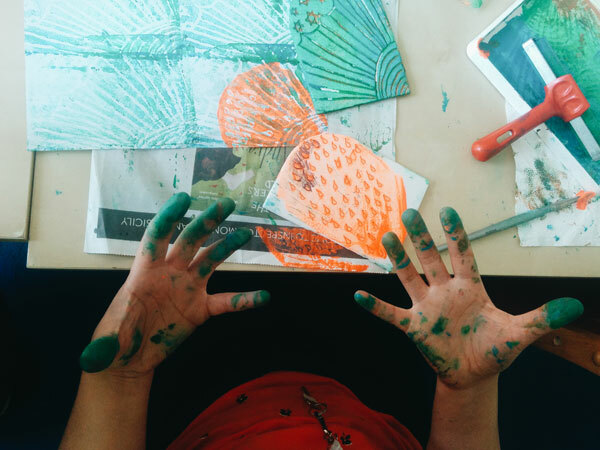 This session is aimed at adults who want to develop their creative skills and learn something new and aims to teach accessible printing techniques that anyone can do at home using simple materials. You will print onto Totebags/ Notebooks to take home with you. Lisa Risbec is a visual artist and creative practitioner who loves to help others explore their creative side. After completing a BA in photography and filmmaking in 2005 and making stop motion paper animations for several years, she realised that she needed to follow her dream of being an artist and started to make work by hand. This lead to her exploring collage, paper and paint works as well as working on art and wellbeing projects; helping to inspire others to develop their own artwork.